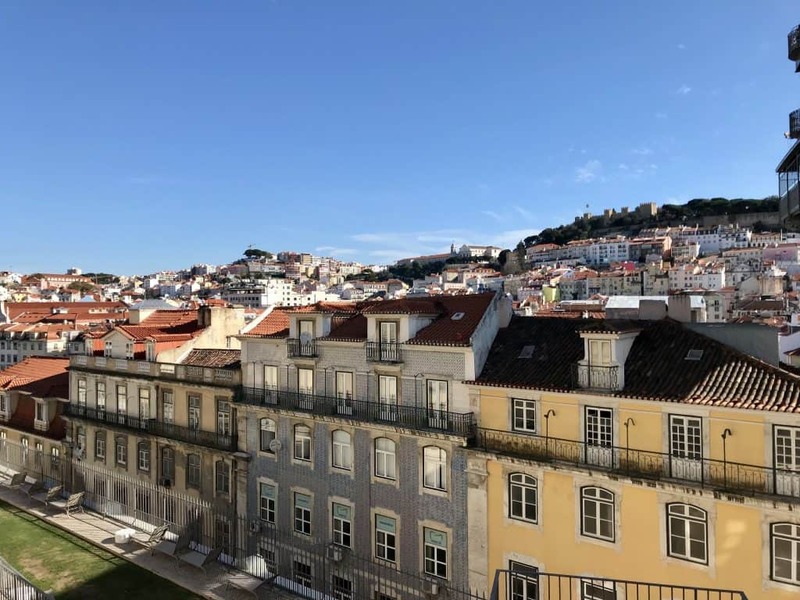 I’ve already written a love letter to Lisbon. The city absolutely grabbed my heart the first time I visited and hasn’t let go yet. 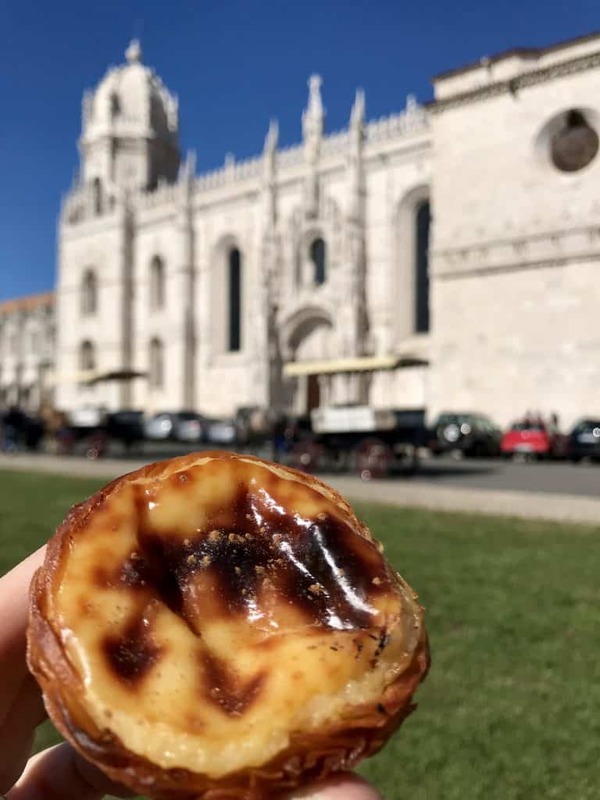 From the colorful tiled buildings to the amazing egg custard tarts, western Europe’s oldest capital city has charm to spare. 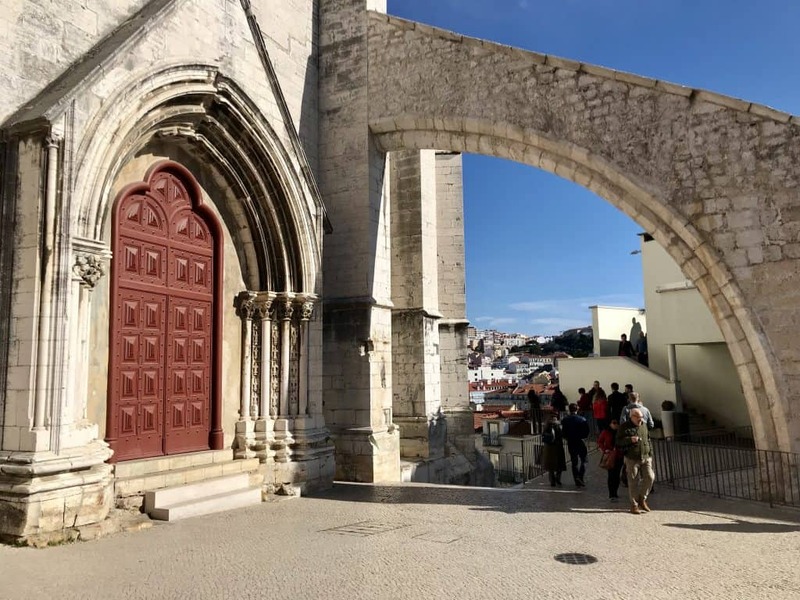 Even though my mom and I only had about a day and a half to explore on my first visit (including a day trip to the insanely awesome castles of Sintra), Lisbon quickly became one of my all-time faves. 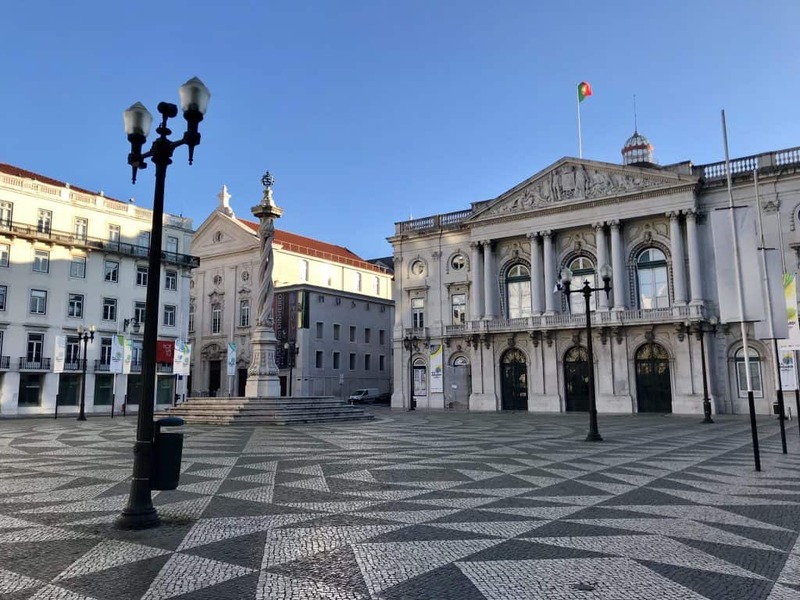 And then I unexpectedly found myself back in Lisbon for 24 hours. Why “unexpectedly”, you ask?? Ha, funny story…@farewhispers and I were supposed to go to Shanghai for a couple days on an awesome $450 round trip ticket. 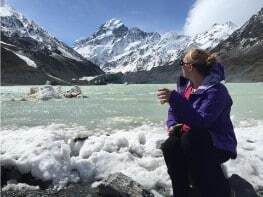 We did a bunch of digging into visas and trip planning, and based on our research we didn’t think we needed a visa due to how short the trip was. Turns out, we were wrong (or at least according to Air Canada…the jury’s still out on the internet). So we were denied boarding at our gate in Boston and had to figure out what to do. It was a 3-day weekend and I’d already flown to Boston to meet her, so we didn’t want to waste it. So right there at the airport we booked a trip to Lisbon. And here we are. 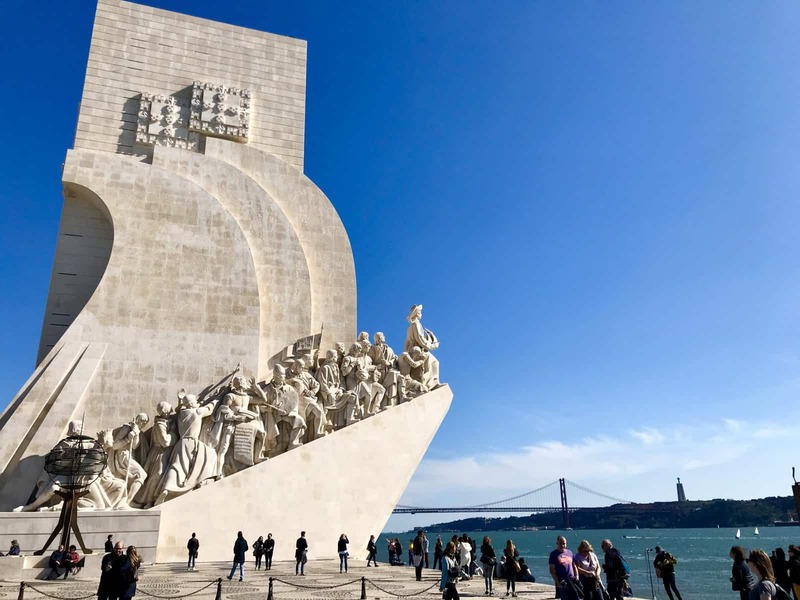 Even though I had been to Lisbon before, @farewhispers hadn’t. 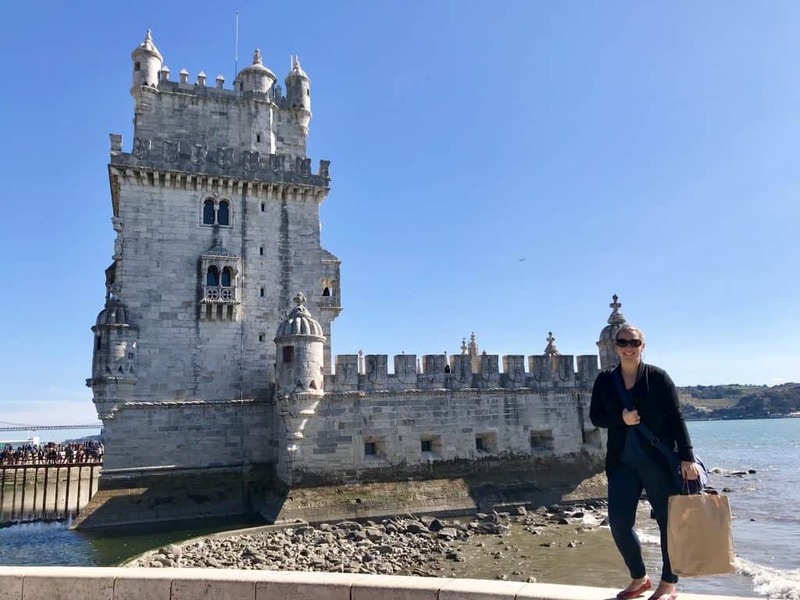 So we repeated several of my favorite things so she’d get a chance to experience them…but I kind of “optimized” the experience based on the time we had so we could fit even more in. The results were pretty epic. 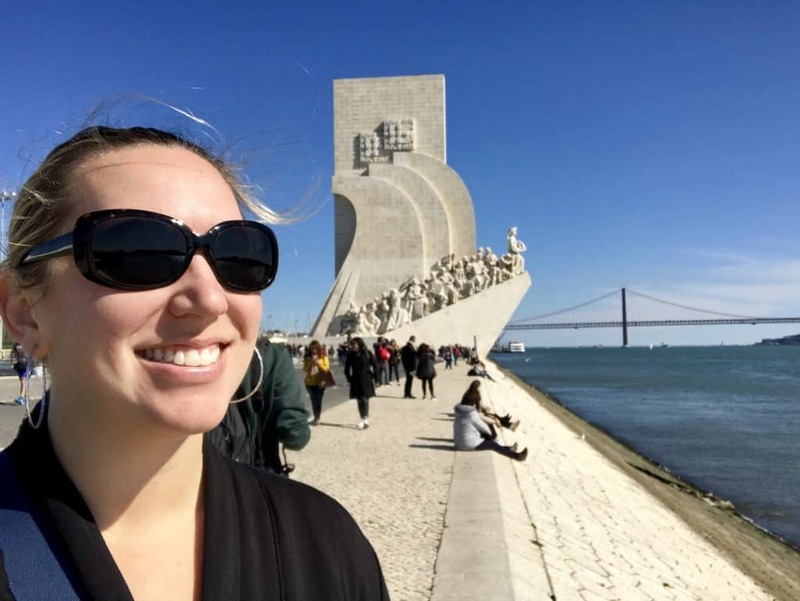 Make sure to check out my Lisbon travel tips #1-#10 here! I recommend renting an apartment, not a hotel—I like to be right in the middle of everything! 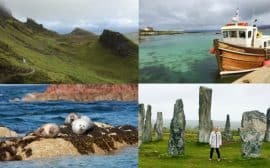 I use Airbnb, and if you haven’t tried them you can get a $15 credit on your first booking here. The metro makes things super easy to get around. Get a Viagem card and refill it. BUT, you’ll still be walking a ton, so comfy shoes are a must! 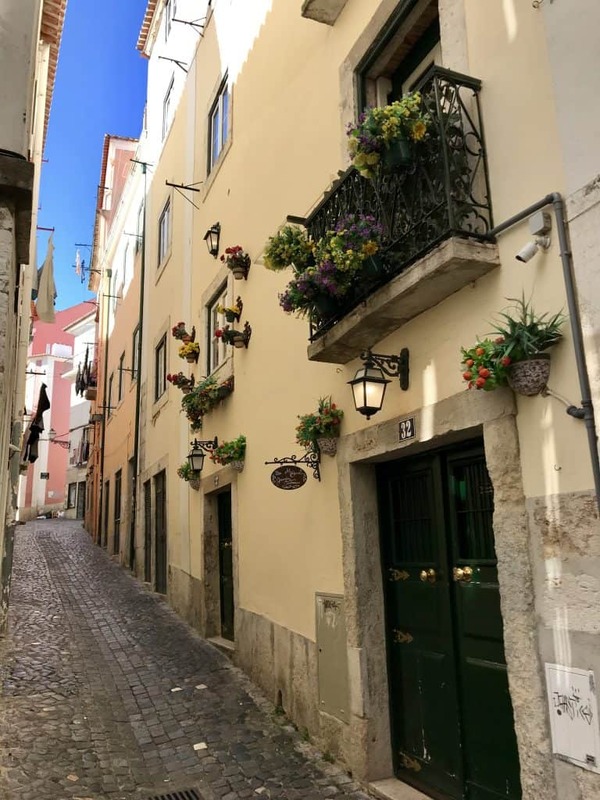 Lisbon’s hilly cobblestones are no joke, and are really slick when wet, so make sure you have good shoes. 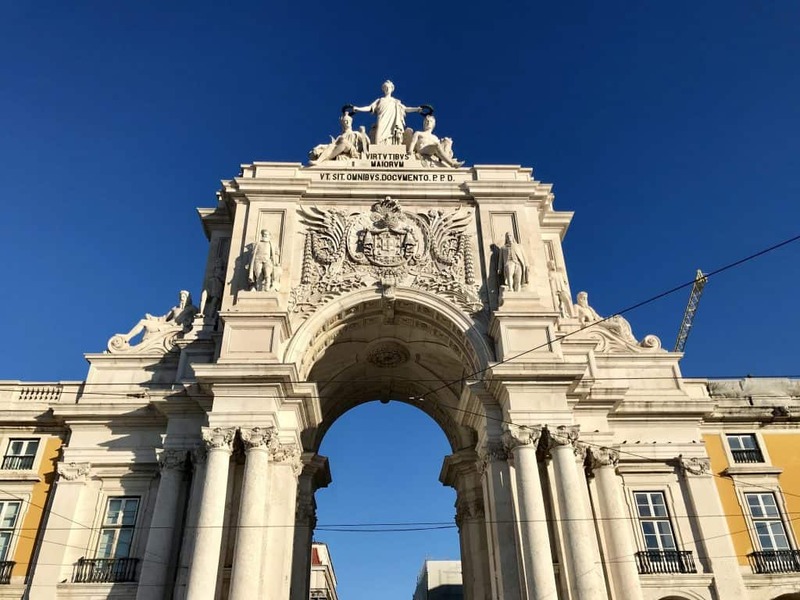 We didn’t get one, but if you’re wanting to visit a lot of major attractions then look into getting a Lisboa Card. 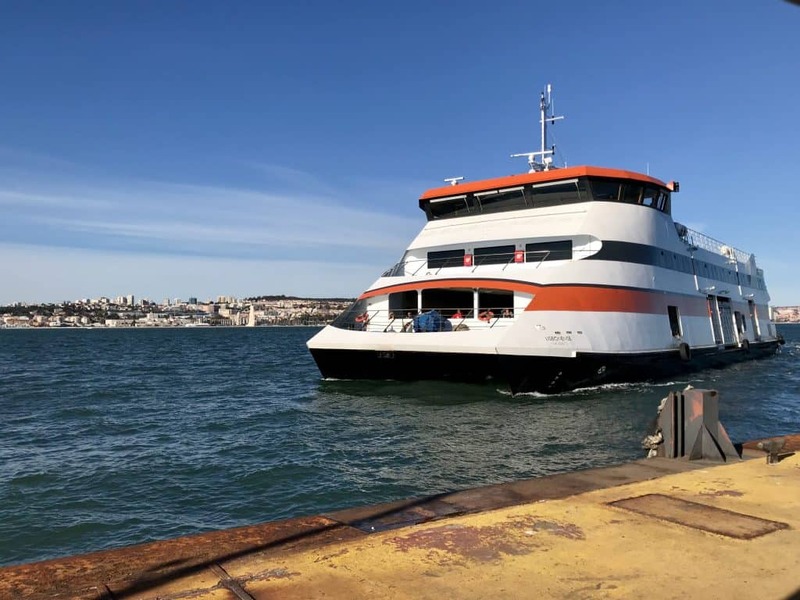 You’ll get into a lot of attractions with it and I believe it offers free public transportation as well. 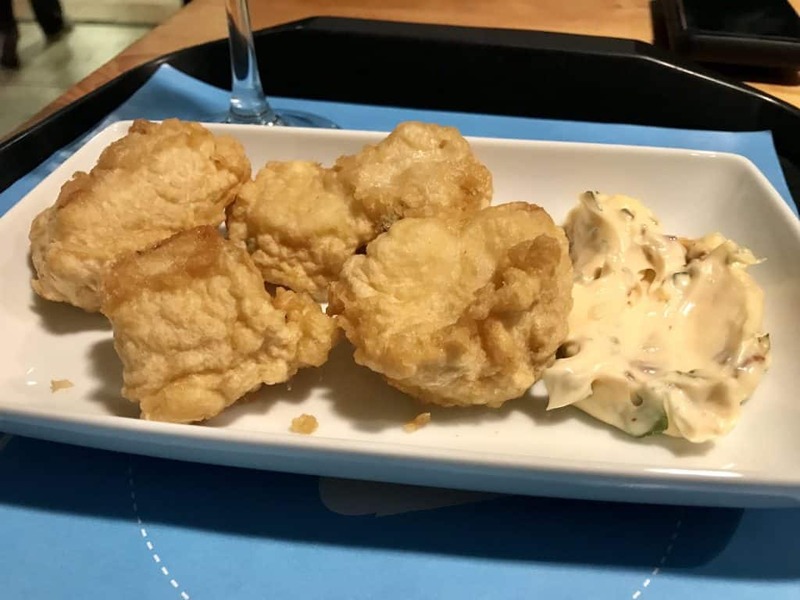 I think it’s 18.50 euros for 24 hours. 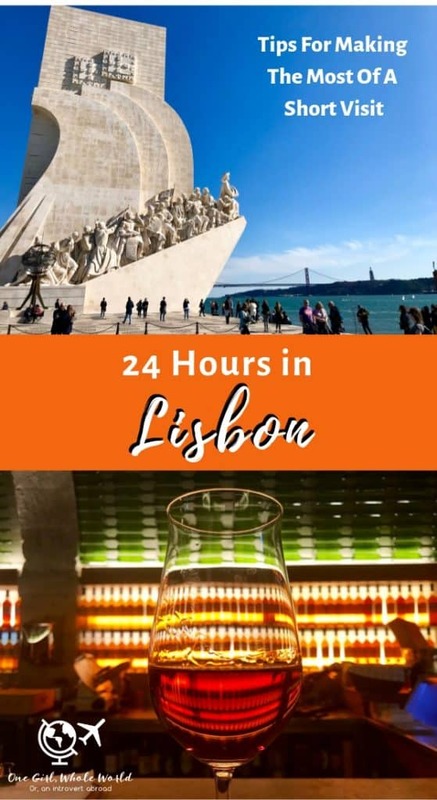 I already have a list of the 10 things to do with 24 hours in Lisbon, and I’m not repeating those here—they totally still apply, so make sure they make it on your list! 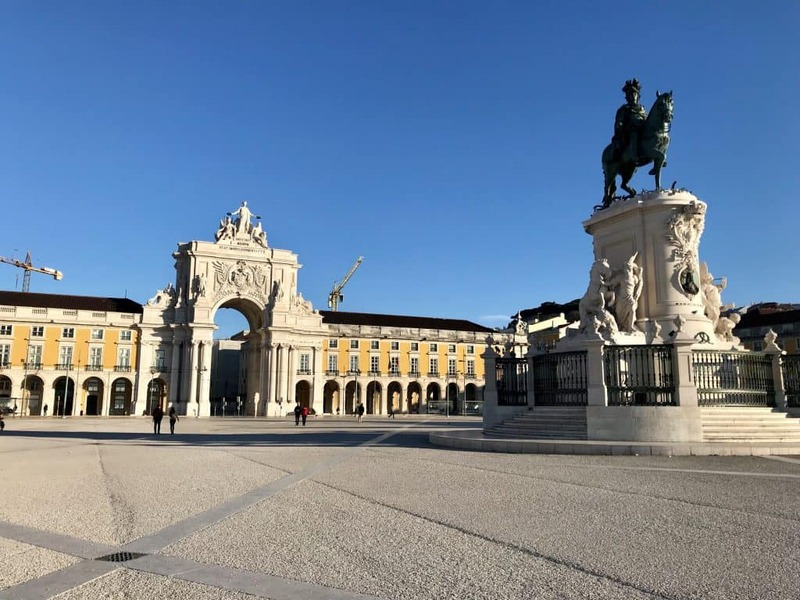 What I have for you today is 9 MORE tips for what to do in Lisbon if you have an extra day (or even a few hours). 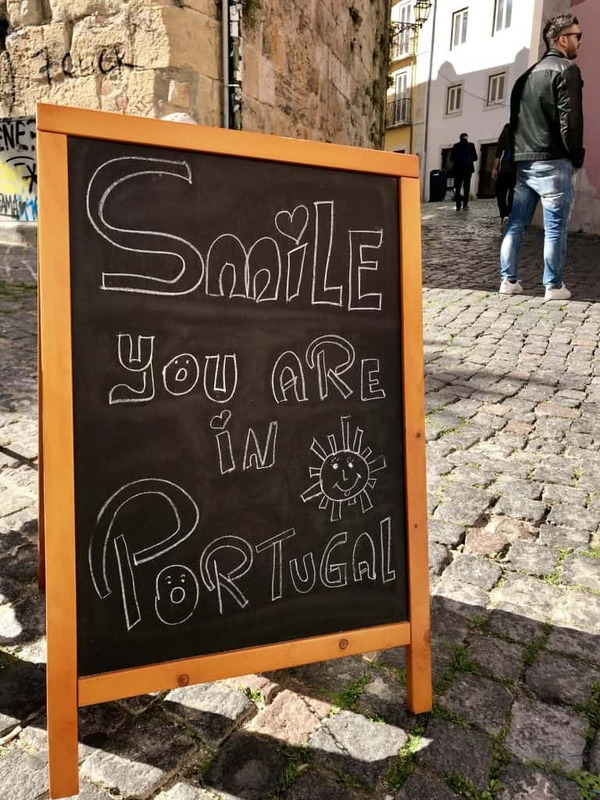 This would be true regardless of how much time you have, but with a few extra hours you can really slow down a bit and soak in the incredible details that decorate Lisbon. 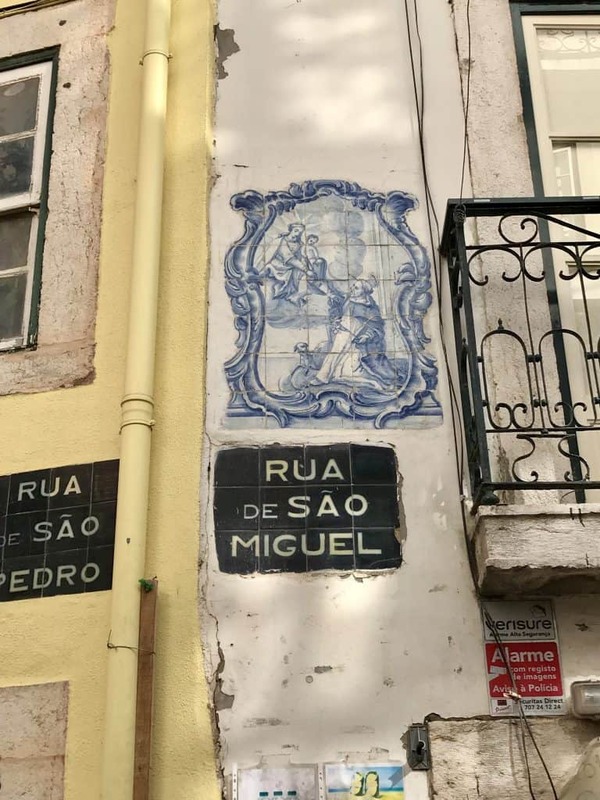 Some of them are more obvious, like the gorgeous brightly colored tiles that cover many buildings. 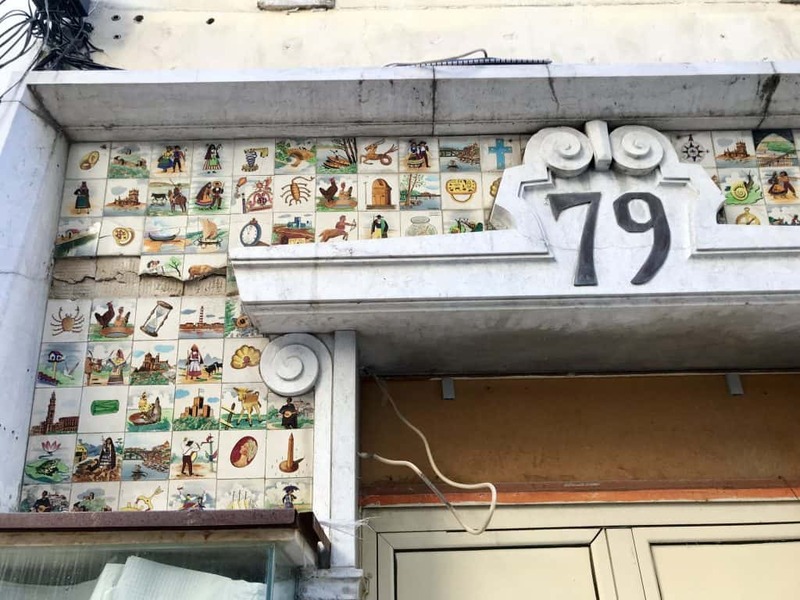 Others you have to really pay attention to, like these tiny tiles around the doorway, or the fanciful stone touches at the top of many buildings. 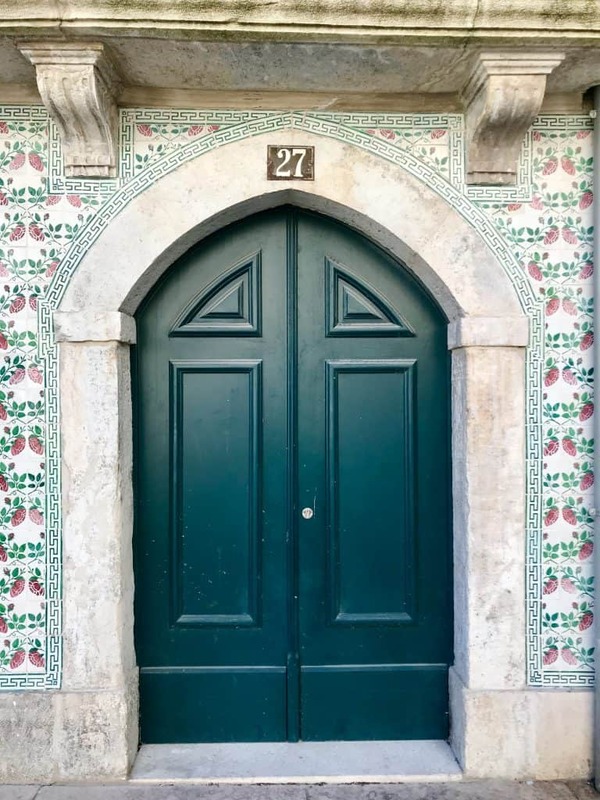 The variety of colors and patterns as we walked toward the famous Alfama neighborhood really jumped out on this visit. 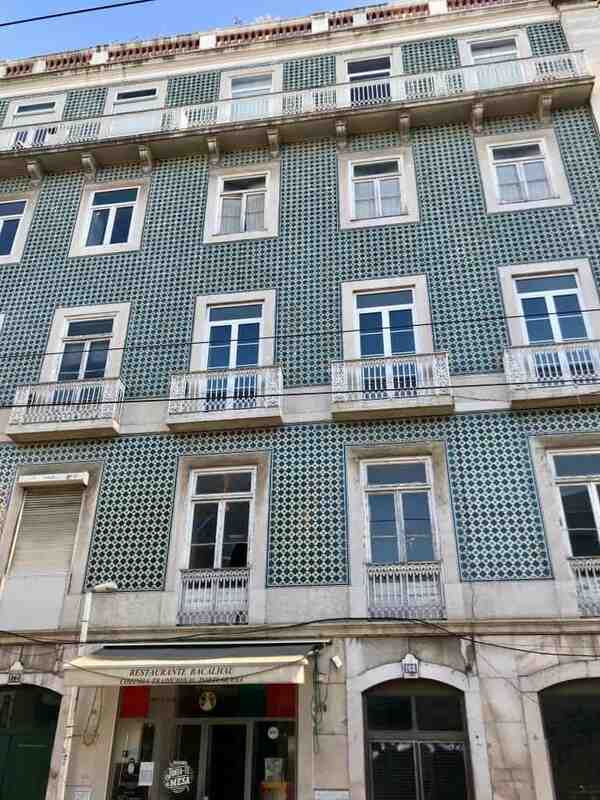 I’m particularly partial to the rich greens and bright yellows, and I love the patterned tiles. But I could never pick a favorite! 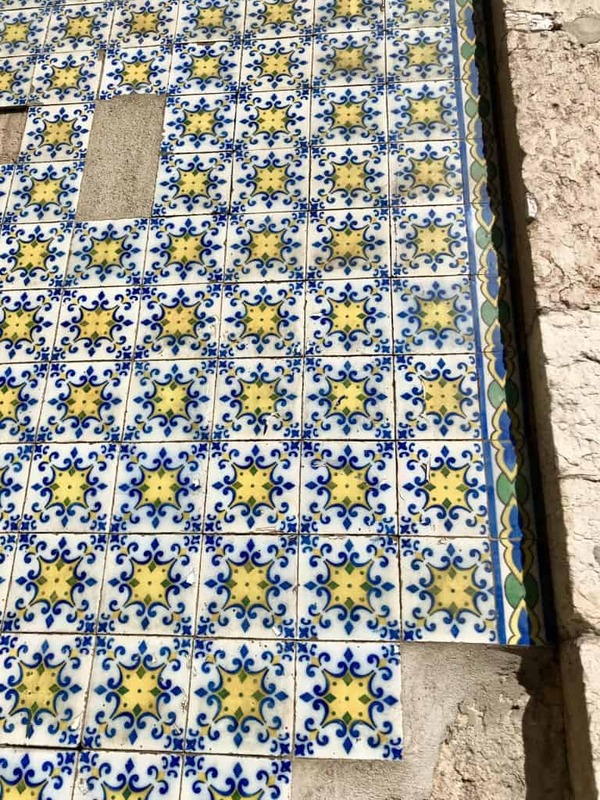 While you’re looking up at all the tiles and details, make sure you don’t forget to look down as well! 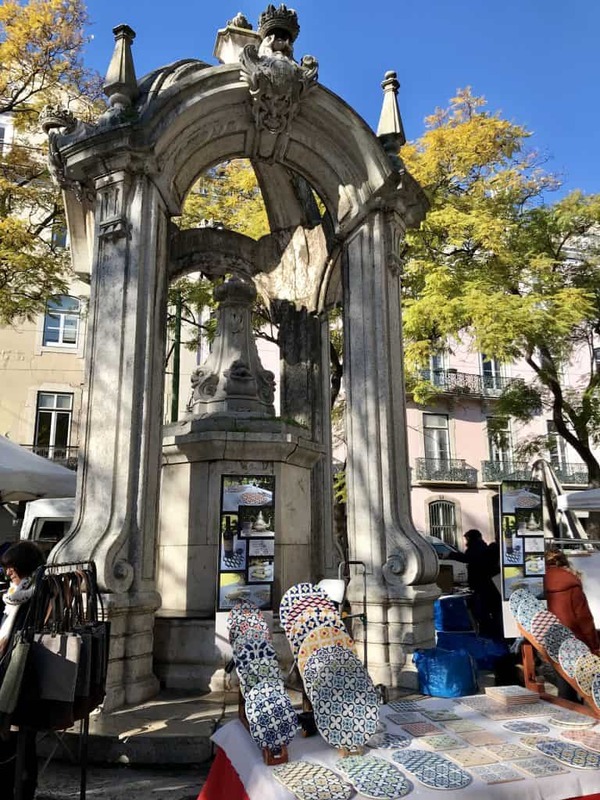 Lisbon’s paving is probably the most beautiful I’ve ever seen. 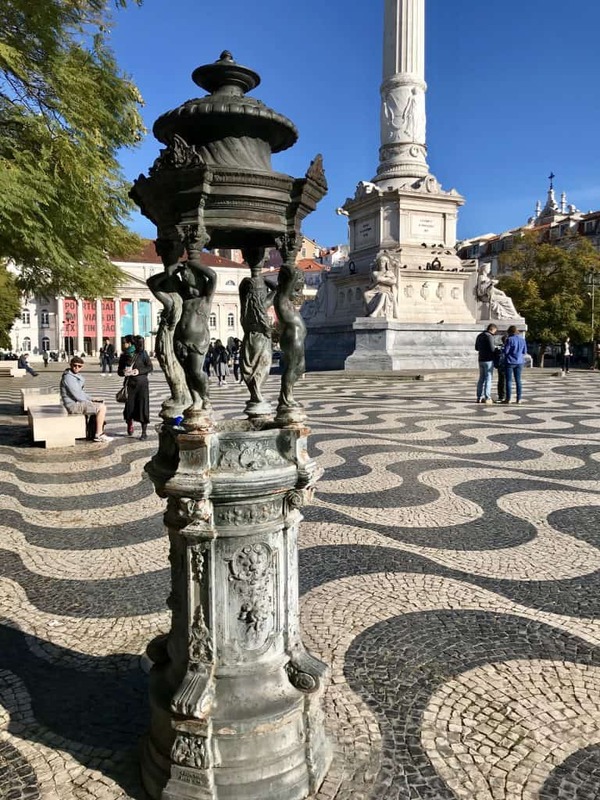 The dark and light tiles are arranged in hundreds of intricate patterns that will mesmerize you (and in some cases, educate you, since they indicate historic dates). *sigh* I really do love this city. So beautiful. 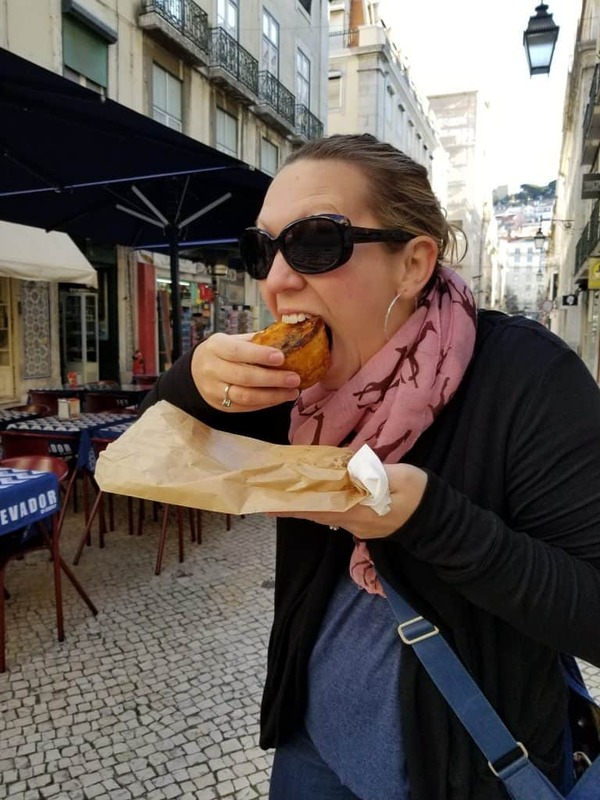 One of my stated life goals is to “eat all the pastries in all the countries”, and Lisbon sure gave me a lot of opportunities! 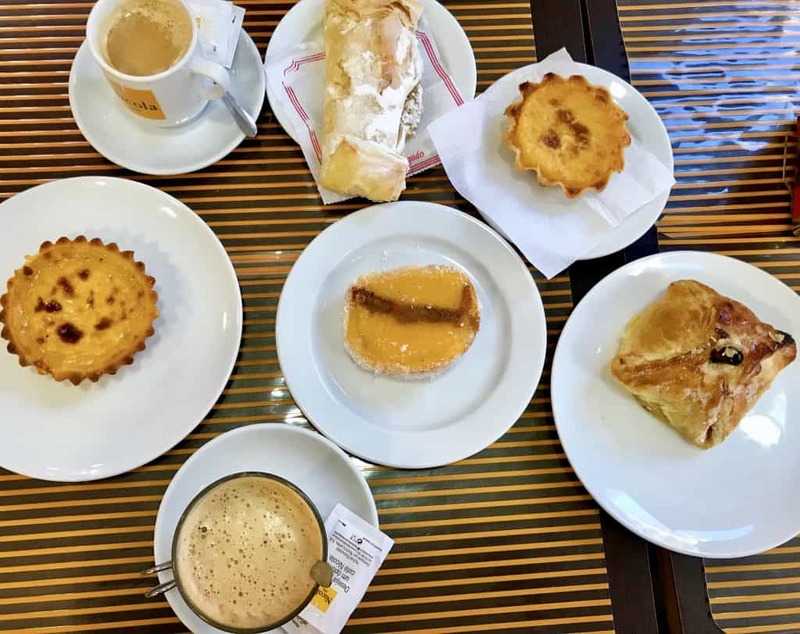 Because I’d had the chance to eat my bodyweight in the famous pasteis de nata (more on that in a minute), I definitely branched out a little more on this trip to other Portuguese delicacies. Some were great, others a little bland. But all worth trying. 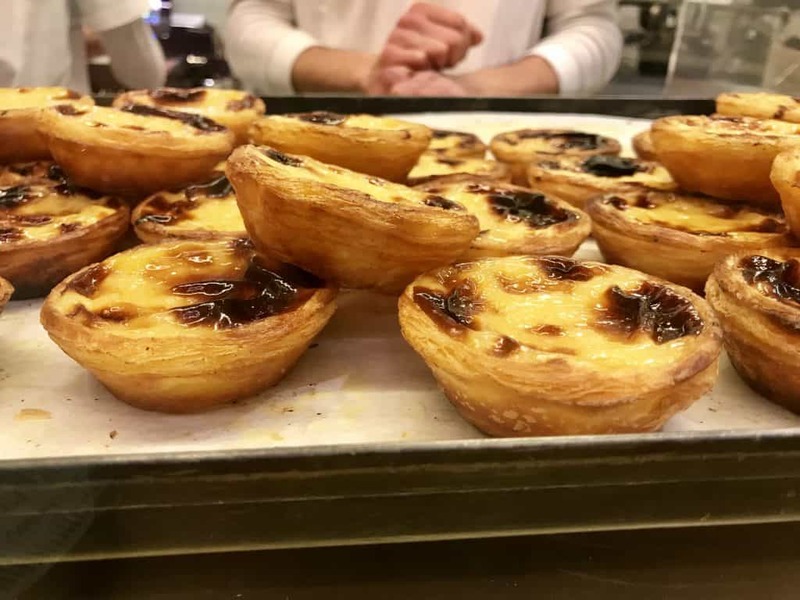 My pastry consumption mandate still included having a pastel de nata every hour or so. 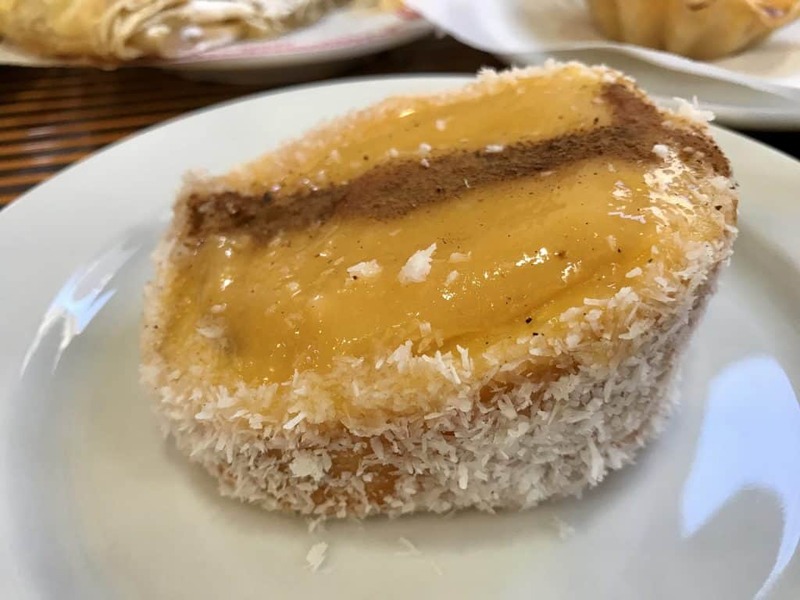 One of my new favorites was this insanely fat, thick one right next to the Elevador de Santa Justa. 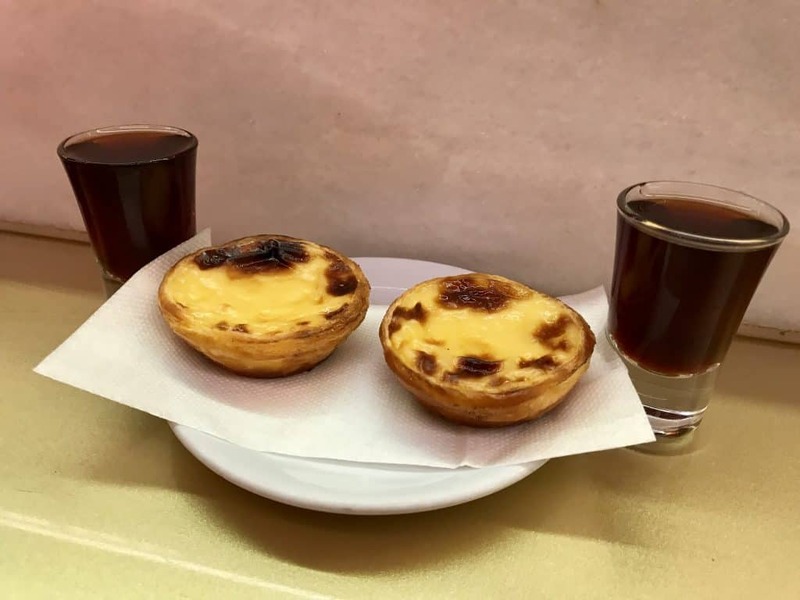 As you’re walking up to the Elevador, the tiny shop is on your left, and these are worth a little searching for. 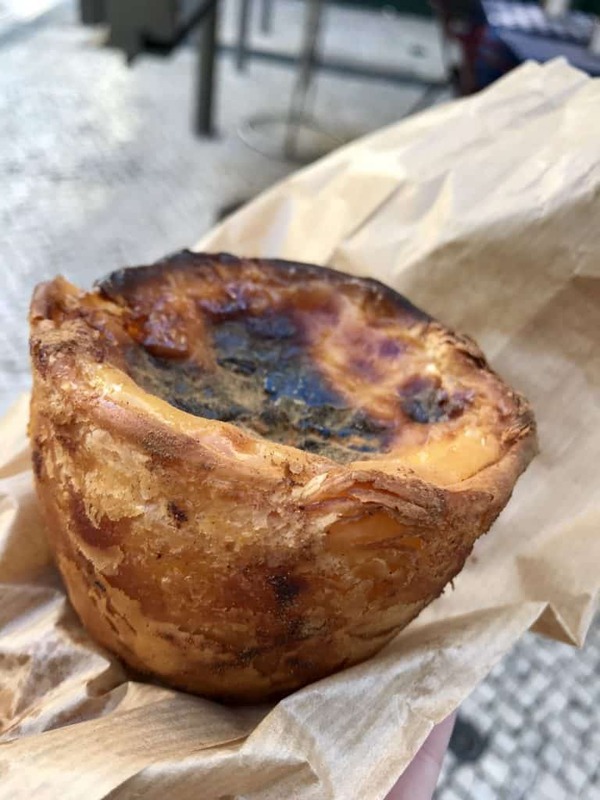 They’re like twice the size of regular pasteis de natai, hard to even get a bite of! 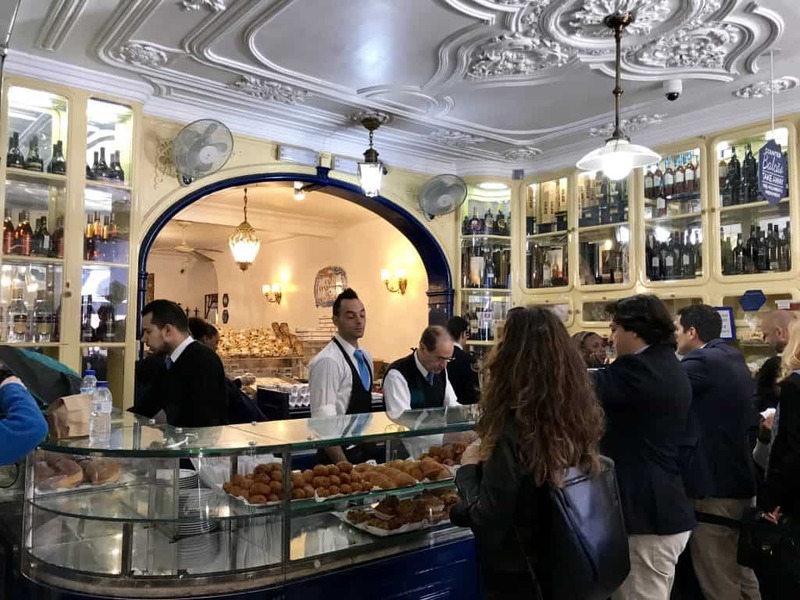 And while I’ve already written about my love of Manteigaria‘s custard tarts, it was one of the first places I took @farewhispers when we arrived, and this time we got some ginja to go along with our tarts. 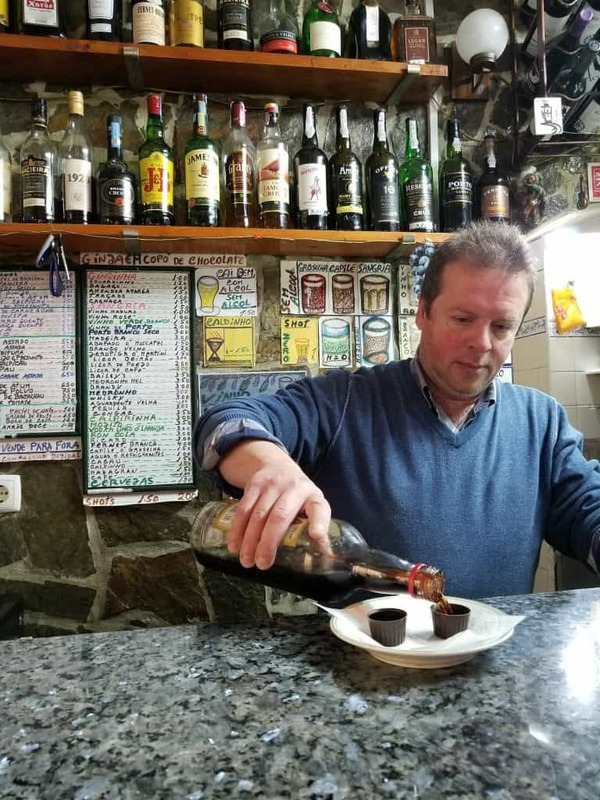 Ginja is a traditional alcoholic drink—more on that in a minute! 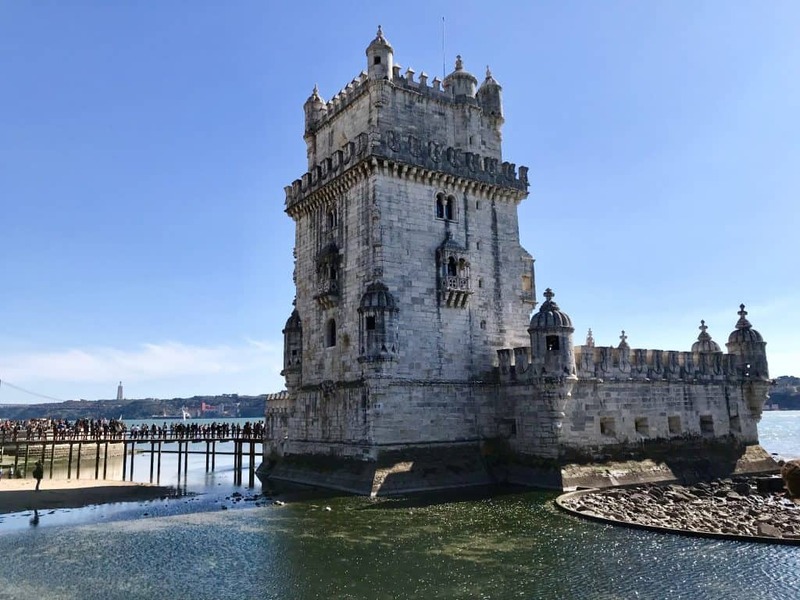 In my first post, I suggested a quick swing by the awesome Belem Tower and Monument to the Discoveries, but we had to totally shortchange the area due to time constraints. 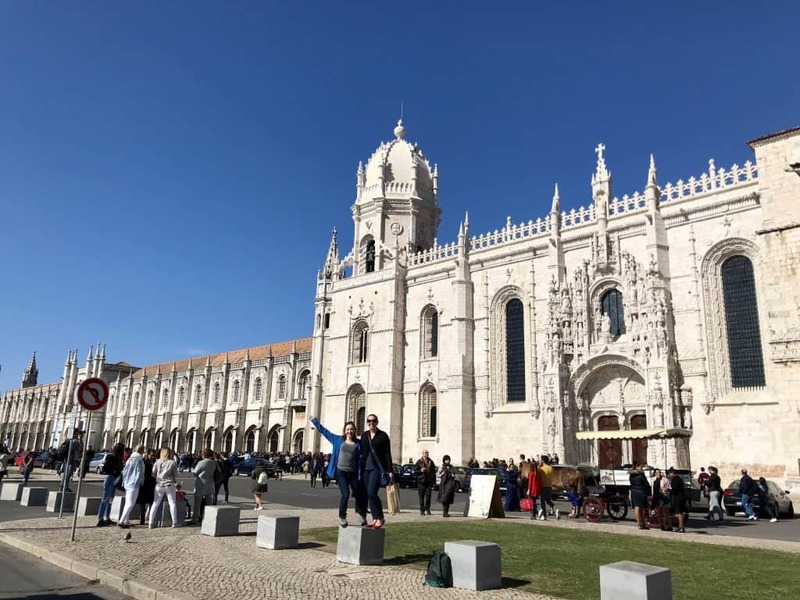 So we missed a couple critical things that you can catch with some extra time, including tasting the famous pastel de nata from Belem, and then gazing upon the Jeronimos Monastery. 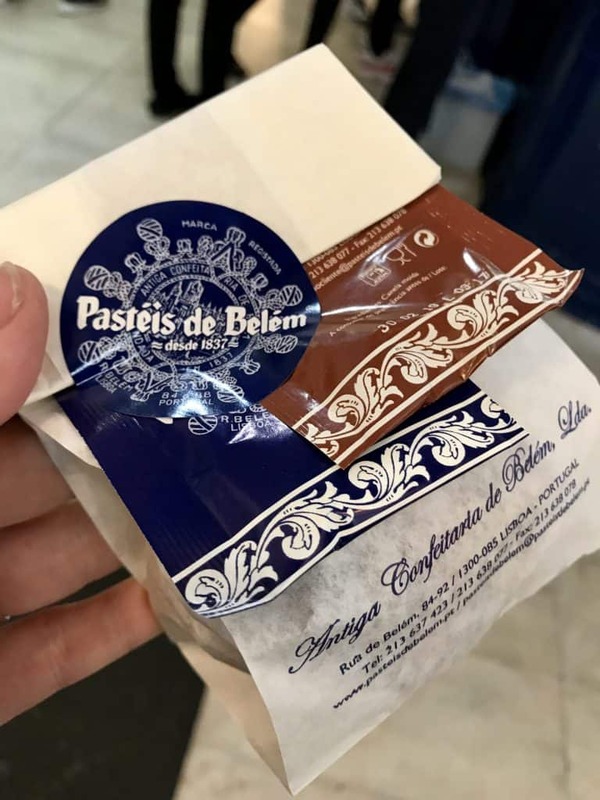 Many people will tell you that Belem’s custard tarts are the best in the city, so how could you *not* try them?? 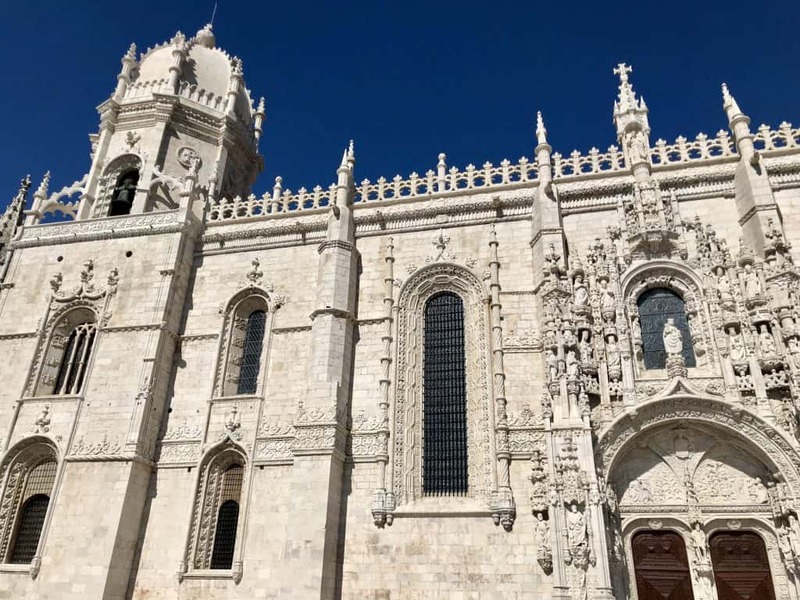 We took an Uber to the pastry shop and waited in line, then picked up our warm tarts and walked a couple blocks over to the Jeronimos Monastery. 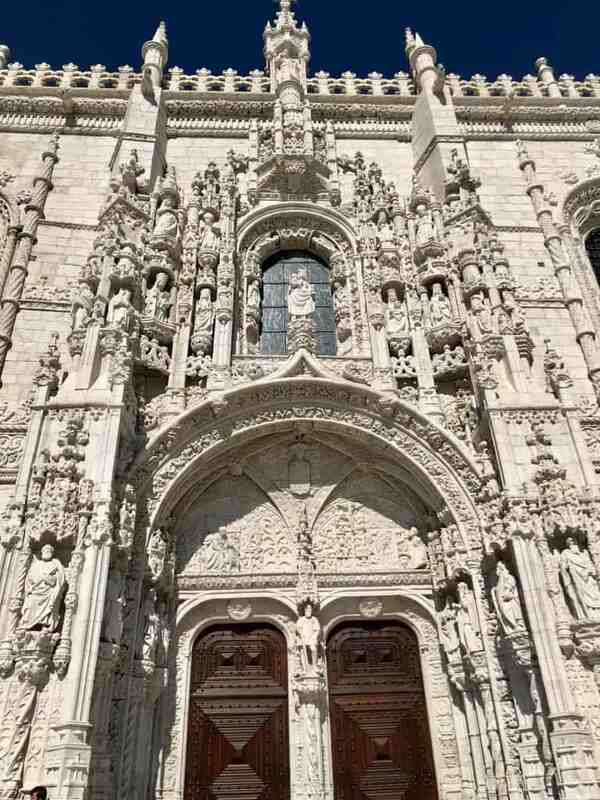 The monastery dates back to the 1500s, and is a gorgeous example of Late Gothic architecture in the Manueline style. It’s insanely long and cool, and even if you don’t go inside (we didn’t), you should swing by and take a look. The next two stops are just a short walk away and were on my previous list, so they don’t actually get their own spot here. 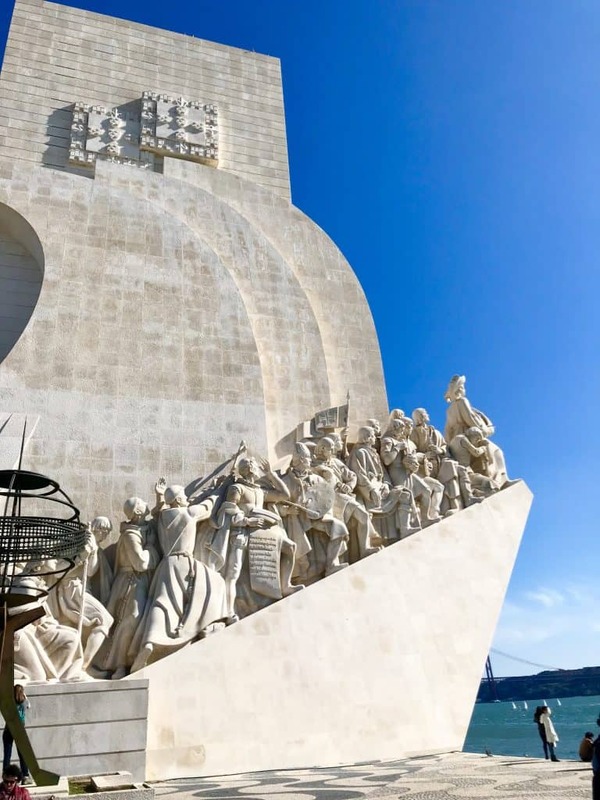 But the other big reason to come down to Belem—besides the pastries—is to see the Monument to the Discoveries and the Torre de Belém. On a gorgeous day like we had (even though it was mid-February), this is one of the most beautiful spots in the city. It was a warm-ish day, a bit windy, and blue-skies like WHOA. 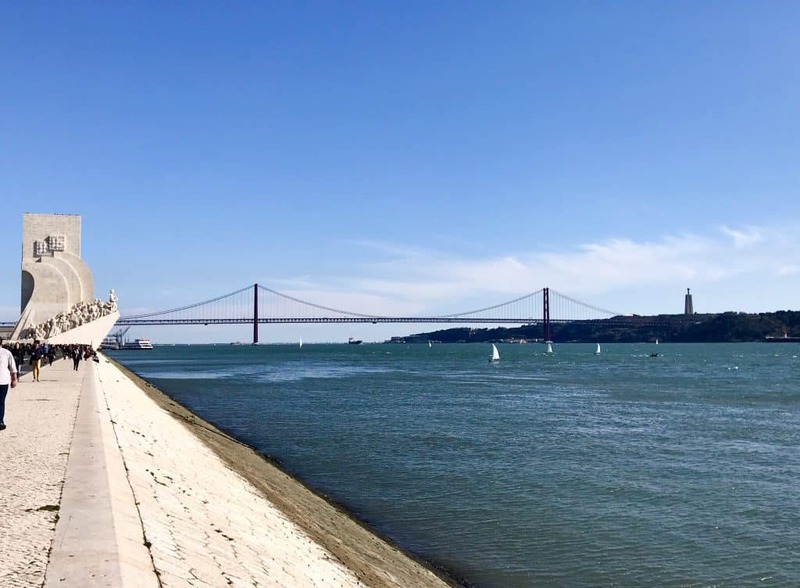 It seemed like all of Lisbon was out and about, sitting and soaking up the sun by the water. 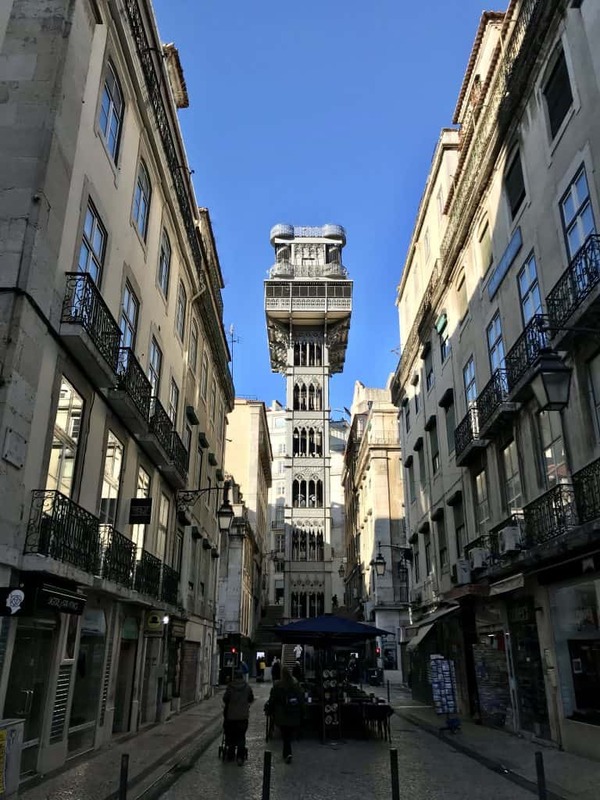 Now here’s a real departure, something you won’t see on most people’s Lisbon list. 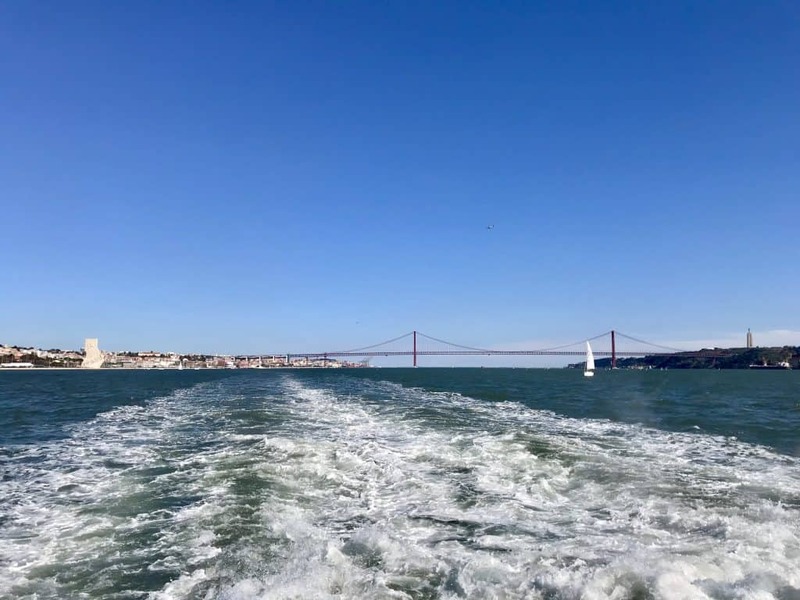 I had shown @farewhispers several of the things that were must-see in Lisbon, so we decided to hop on a ferry and go see how the locals live in the ‘burbs. 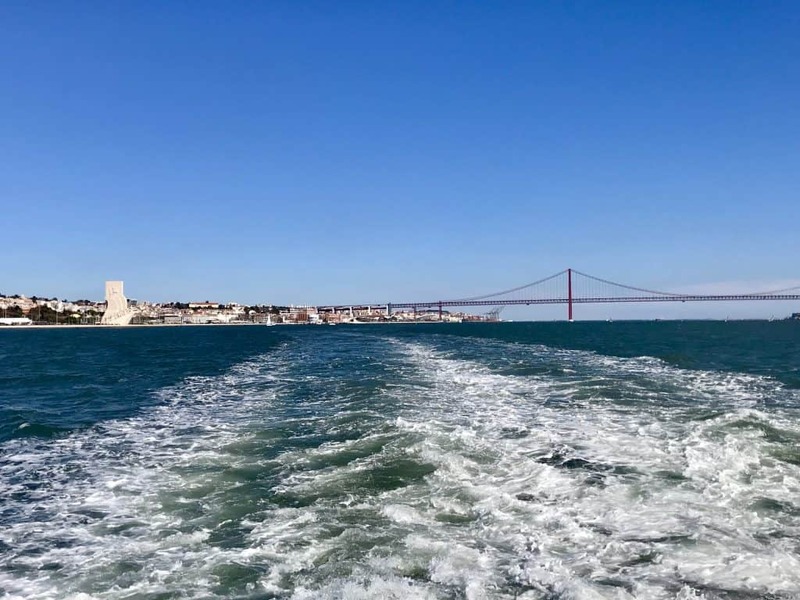 We took the ferry from Belém to Porto Brandão, mostly as an excuse to get out on the water on such a gorgeous day. There wasn’t much to do in the little town, especially since it was winter and most restaurants were closed. 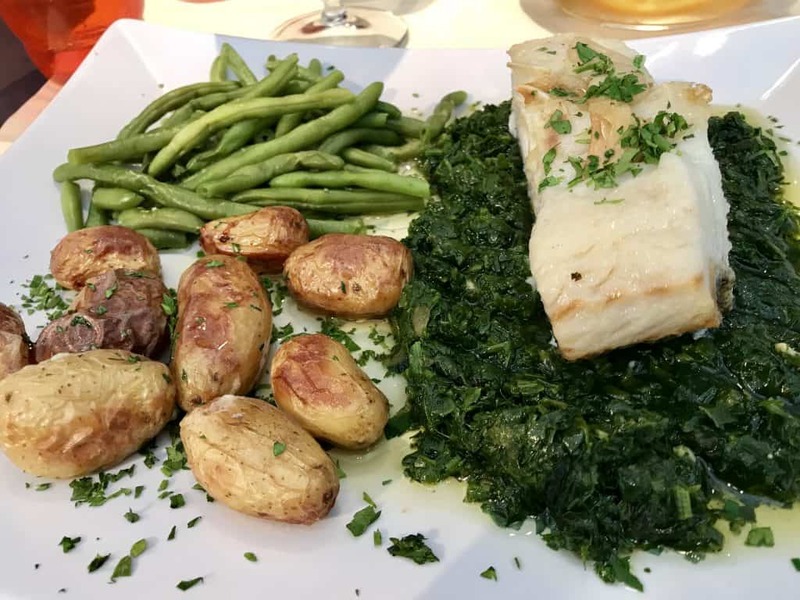 But we found a cute little place to eat, and our adorable waiter, Nuno, sweetly and patiently translated the whole menu for us so we could decide what we wanted to eat. I could have decided faster, but it was really cute watching him do it. 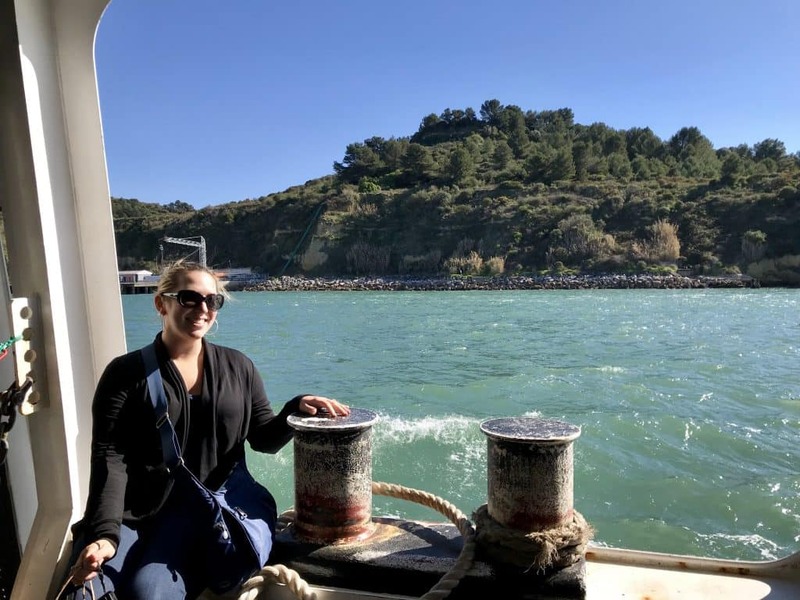 After enjoying some traditional bacalhau (salted cod) and a delish dessert, we grabbed the ferry back, enjoying the waves and blue skies. 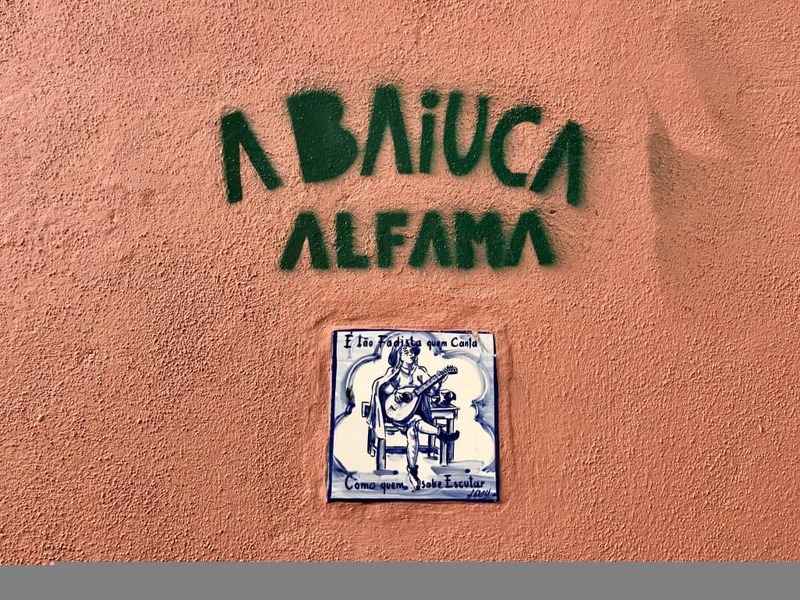 Alfama is one of the best-known neighborhoods in Lisbon, the oldest and arguably most charming as well. 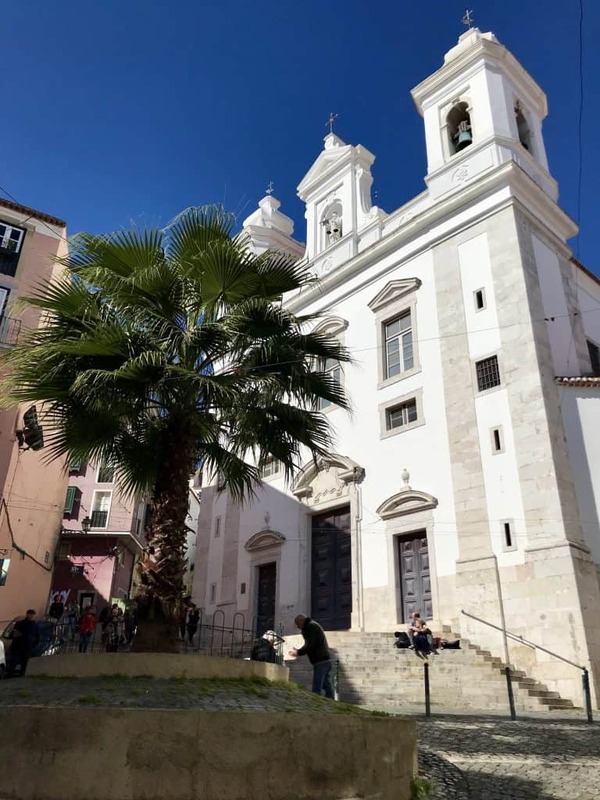 While there are many things to do in Alfama—visiting Castelo de São Jorge, the tile museum, seeing a fado show—I’d argue that the best thing you can do is just wander up and down the hilly cobblestone streets. 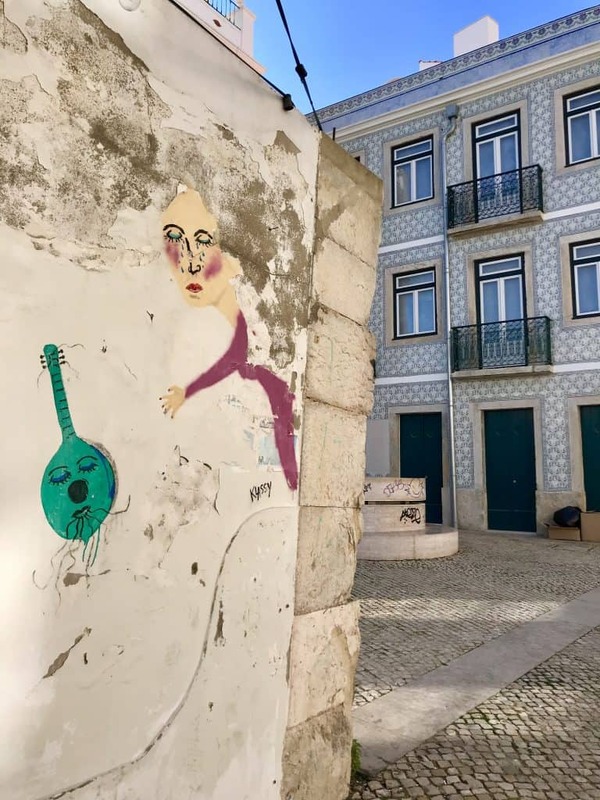 There are a couple awesome viewpoints (miradouros) in Alfama that you should keep your eyes peeled for, and if you can plan ahead enough I definitely would love to have seen a fado show at night. But even with just an hour, come and soak in the colorful atmosphere here. 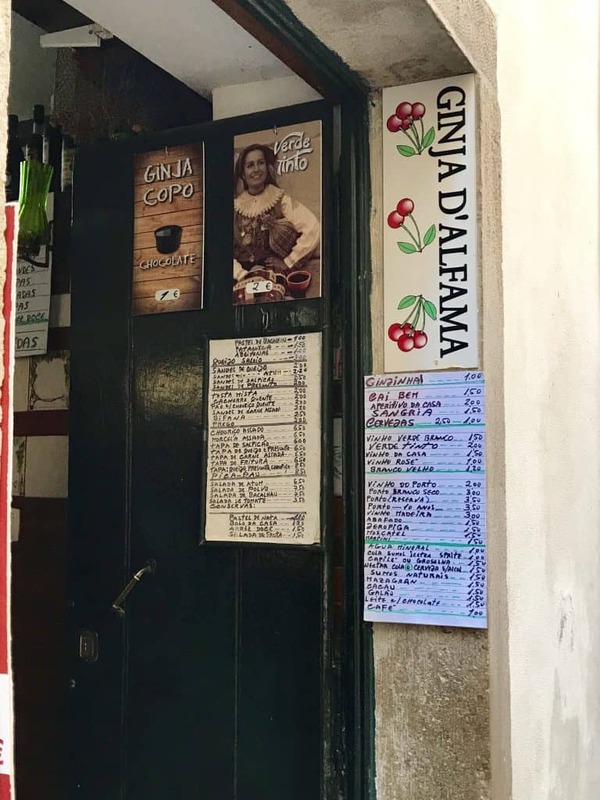 While you’re in Alfama, pop into a ginja shop and try some of the traditional Portuguese sour cherry liqueur. 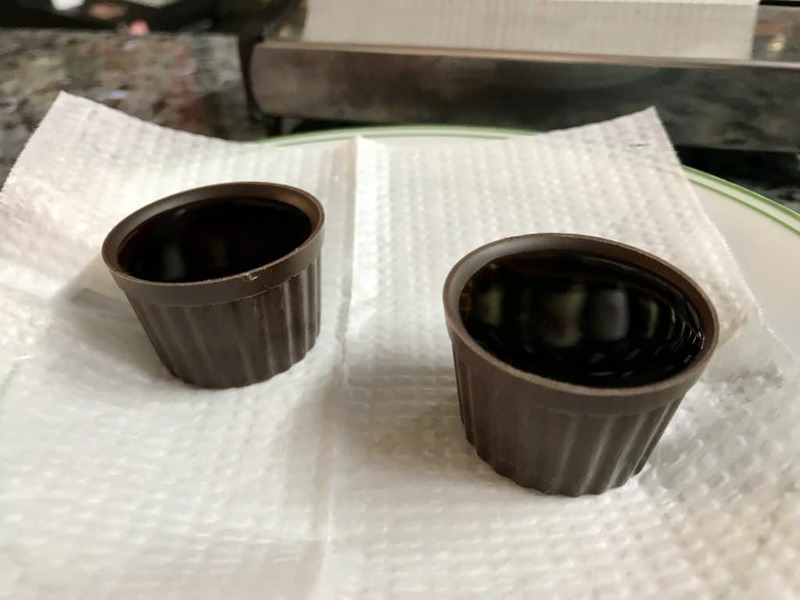 We had ours in tiny chocolate shot glasses, and all I can say is YUMMM. 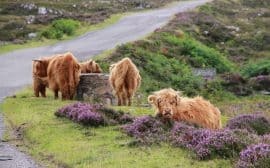 I was fascinated by this dive into the history of ginja, if you’re interested in learning more. 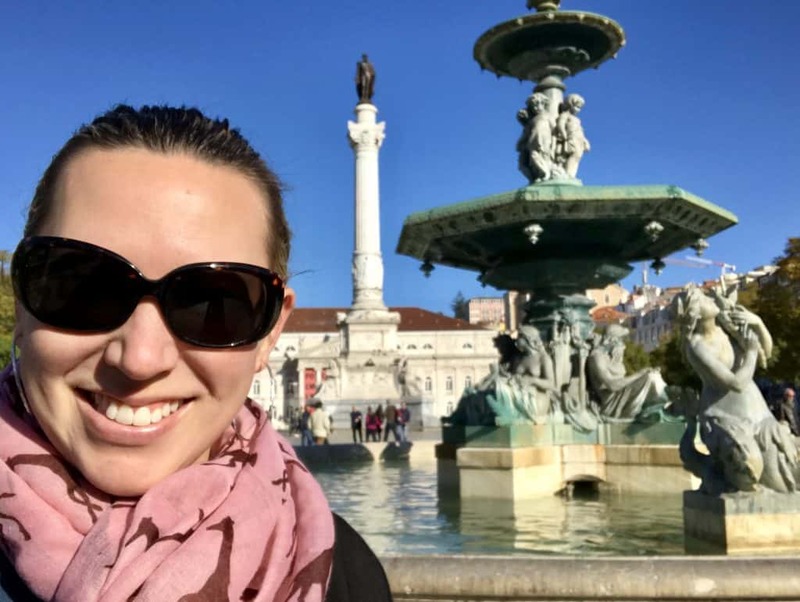 I don’t know how I totally missed ginja (also spelled ginjinha) on my first time in Lisbon, but you better believe I bought a travel-size bottle to take home! We totally lucked out on this trip and stumbled upon an awesome local craft market. 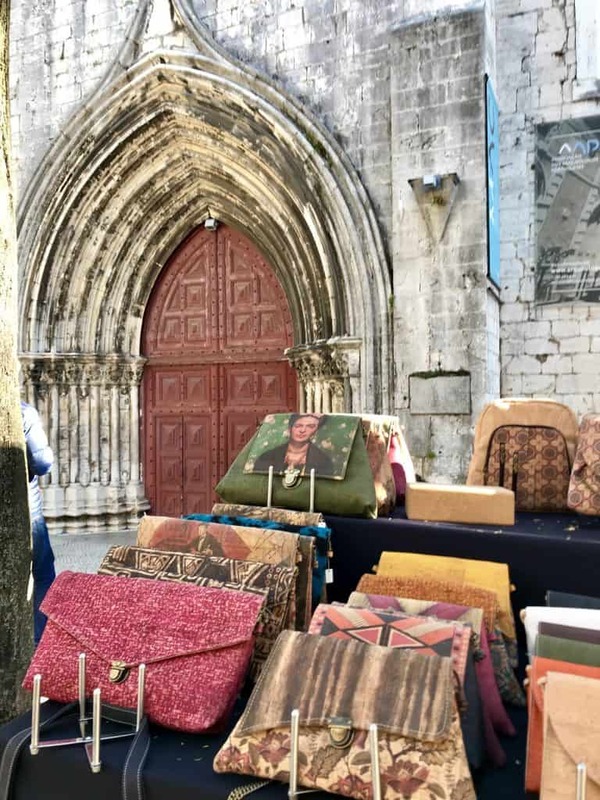 I’d wanted to show @farewhispers the great view from Carmo Convent, and as we emerged into the plaza we found dozens of stands selling really high-quality handcrafted goods. 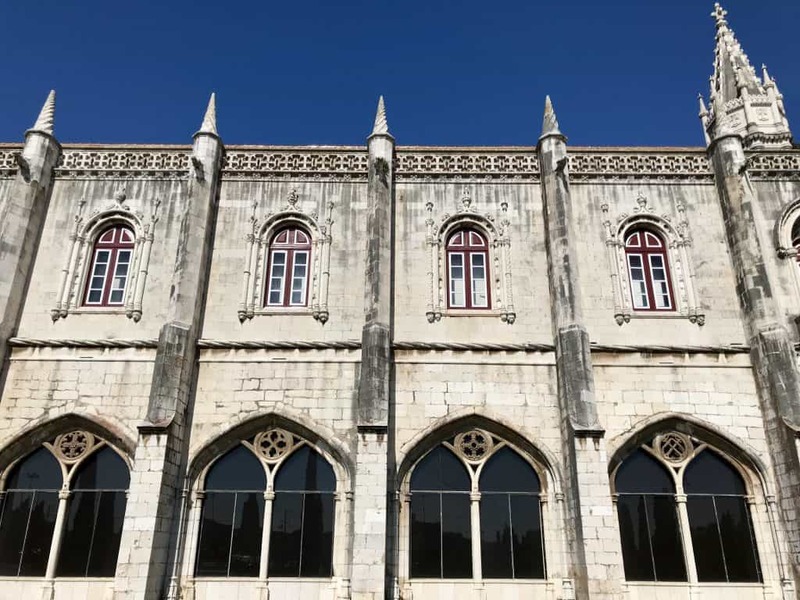 If you’re at Carmo Convent, don’t miss the best secret rooftop bar and view in Lisbon! I ended up with a beautiful cork green clutch, a pretty scarf, and a cork and tile trivet for my kitchen. This particular market only happens on the third Sunday of the month (or at least, as of publishing time). 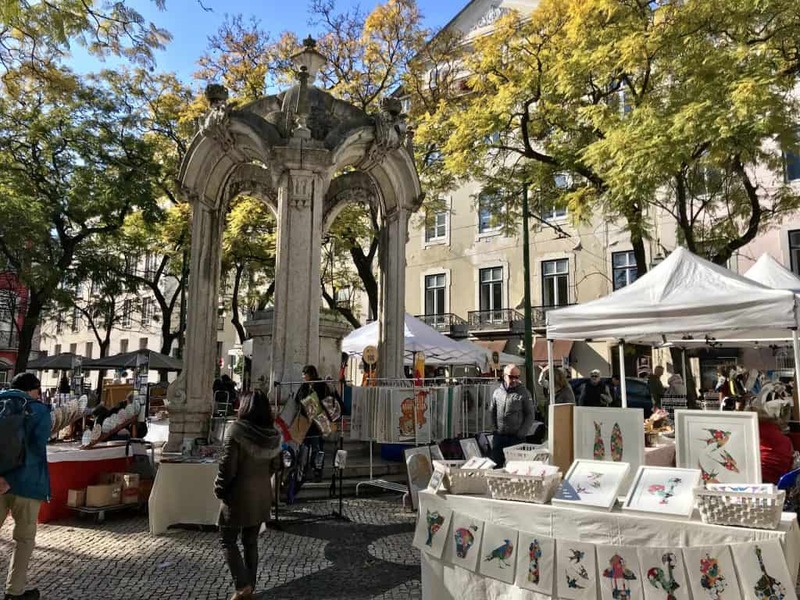 Here and here are lists of several other markets in Lisbon you should look into while you’re visiting. Ohhhh food! 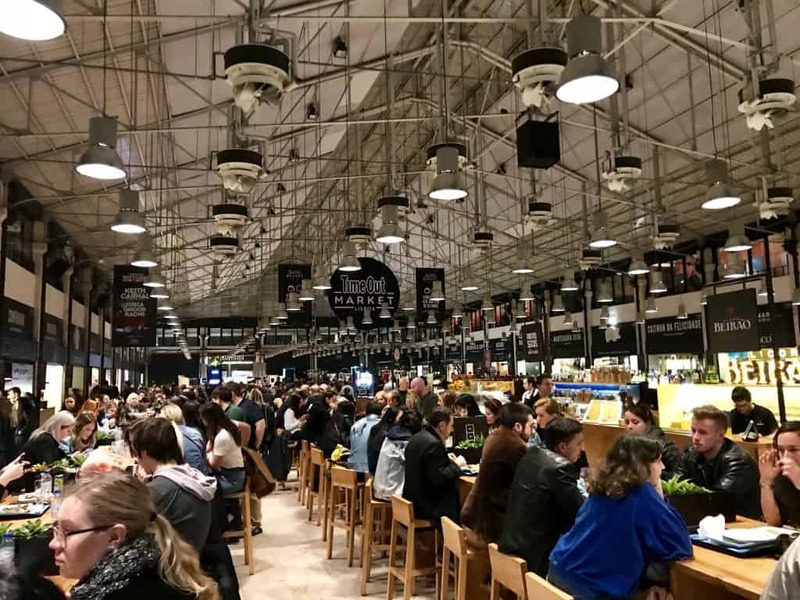 I hadn’t heard of Time Out Market on my first visit to Lisbon, but it was recommended by several different people while we were there on this visit. 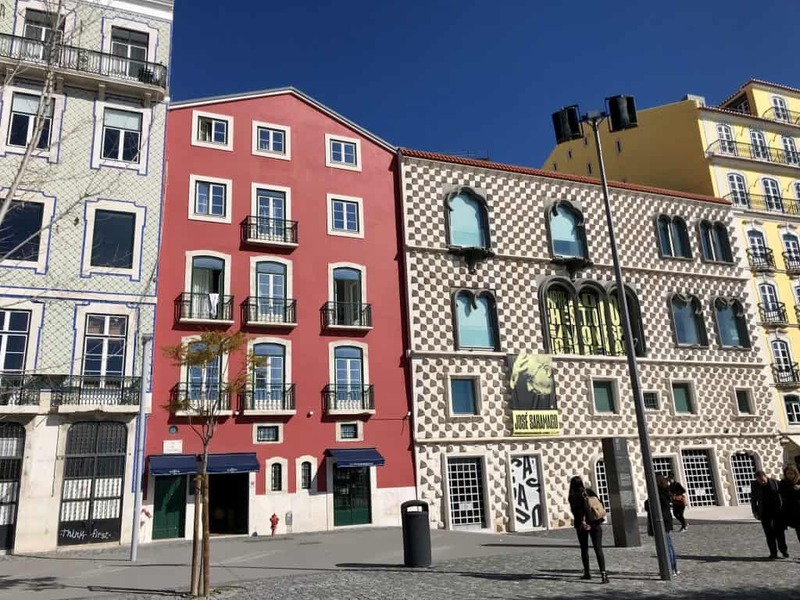 It’s this big building holding 24 tiny restaurants, 8 bars, several shops, and a music venue, and it’s meant to be the best-of-the-best in Lisbon. Can’t get reservations at the hottest restaurants?? No problem, just head over to Time Out. 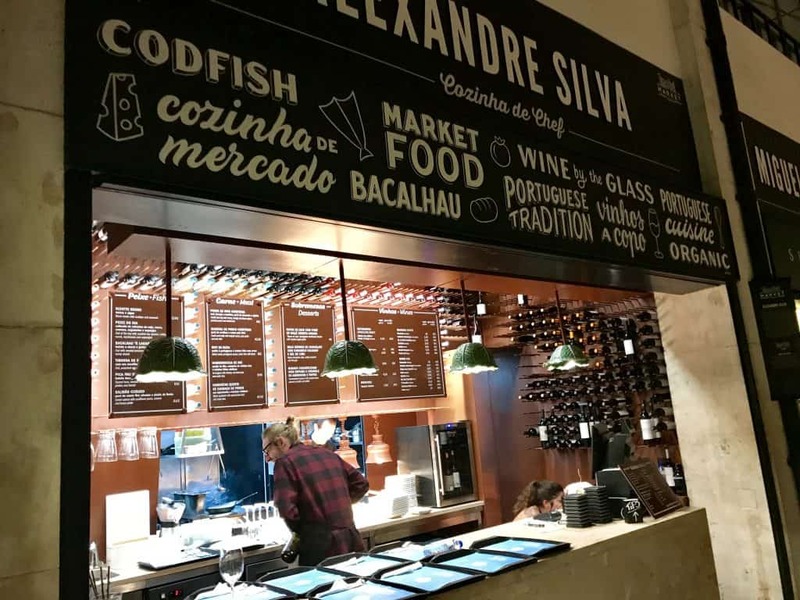 Chefs like Alexandre Silva have established tiny spots here, and the market is full of what are thought to be the best burger, best sushi, etc. 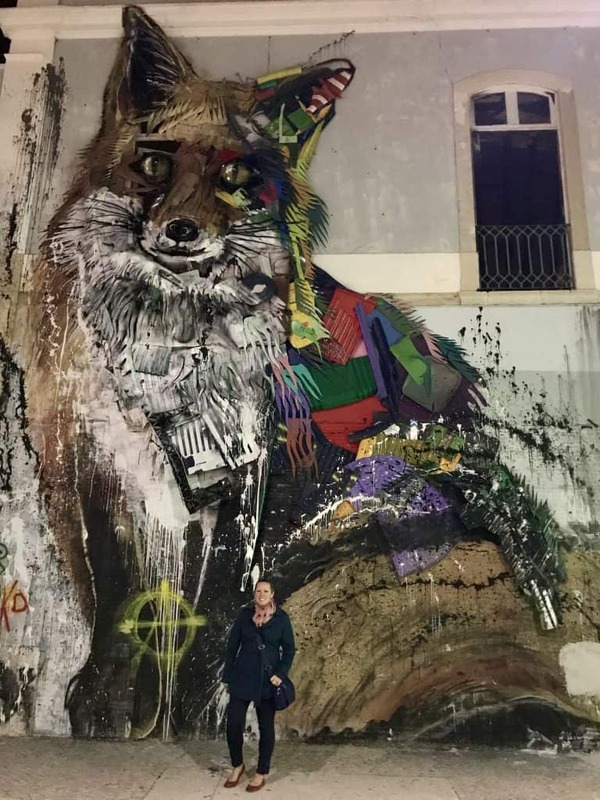 in Lisbon. The market itself is a little overwhelming on a weekend night, mostly because you really have to have a seating strategy and we didn’t. But we browsed for a while and then I picked dishes from a few different stands. 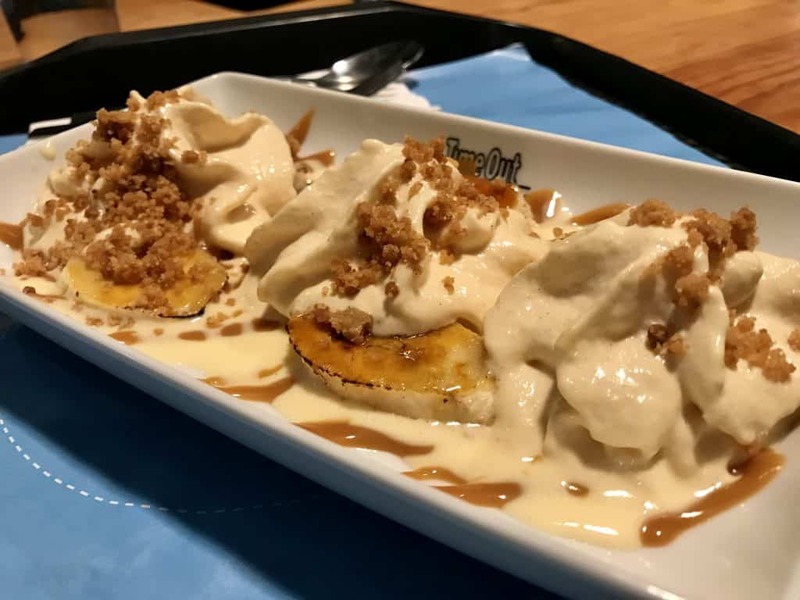 I had a steak frites, some little fried bacalhau cod pieces, and a delicious carmelized banana and peanut whipped cream dessert. Nom. Side note, if you haven’t watched Somebody Feed Phil on Netflix…do it now. It’s incredibly charming and funny, and beautifully shot as well. 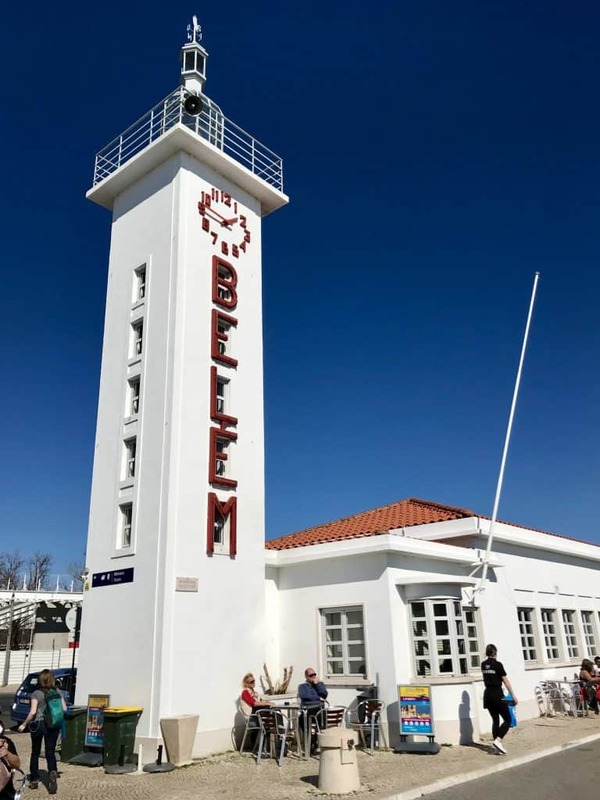 But his Lisbon episode is awesome and he ended up going a bunch of places I had, including Time Out and Pasteis de Belém. 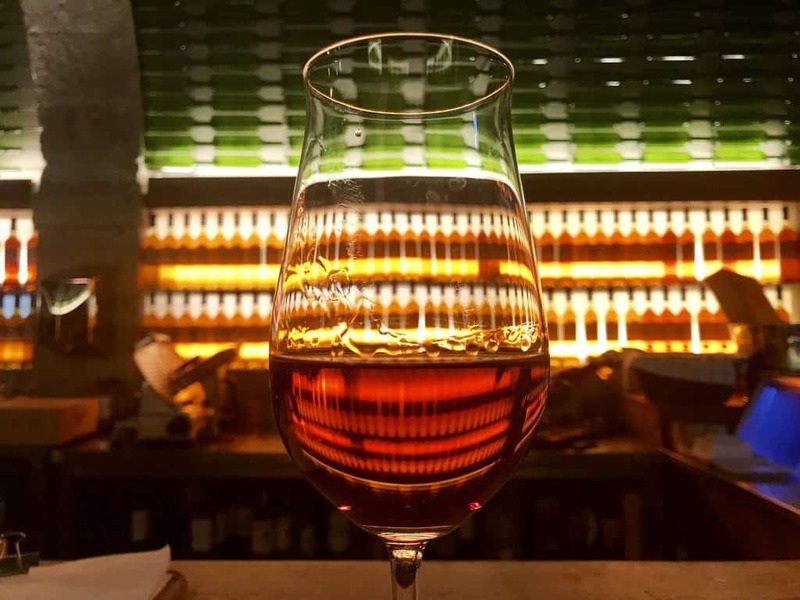 One thing people don’t always associate immediately with Portugal is a wine culture, but the country has a ton of amazing wine. 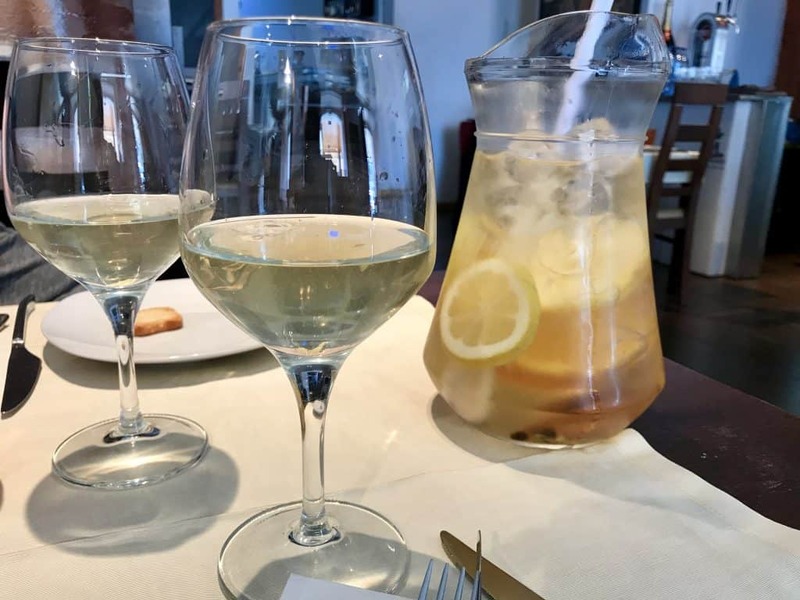 Two that you should definitely try are vinho verde (literally “green wine”), a bright and slightly effervescent white wine that’s refreshing on a hot summer’s day. And then obviously port is super famous here. 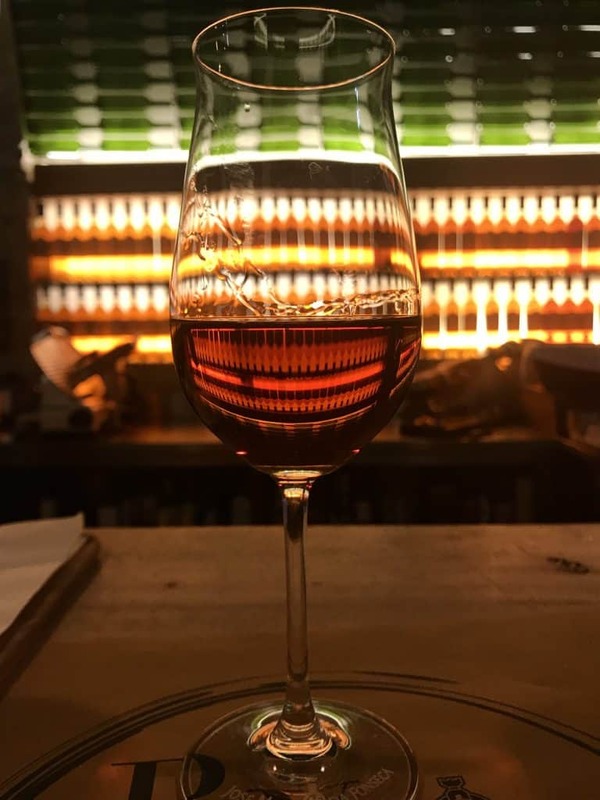 I LOVE PORT. There, I said it. I realize that it can be a polarizing thing, though I don’t think a lot of people have really given it a fair shake. 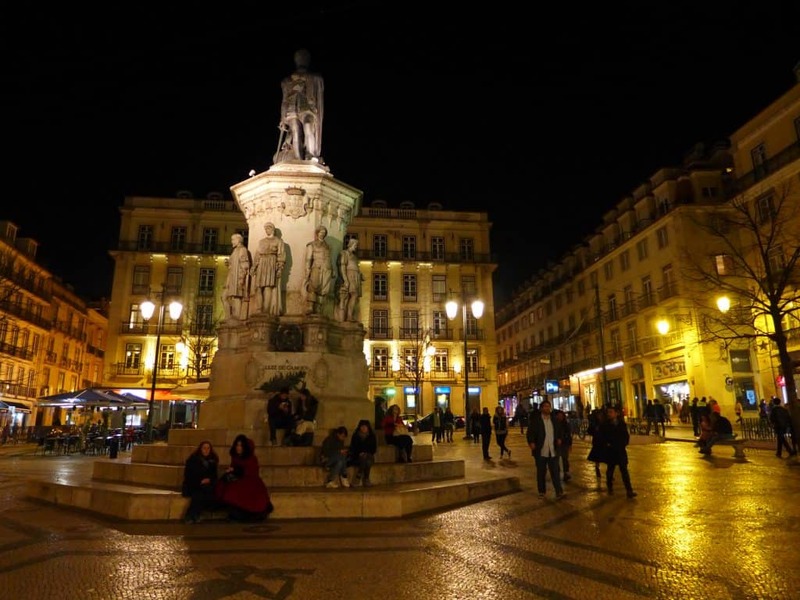 But if you’re spending some time in Lisbon, get out and enjoy the nightlife, and maybe try some port or other local wines. 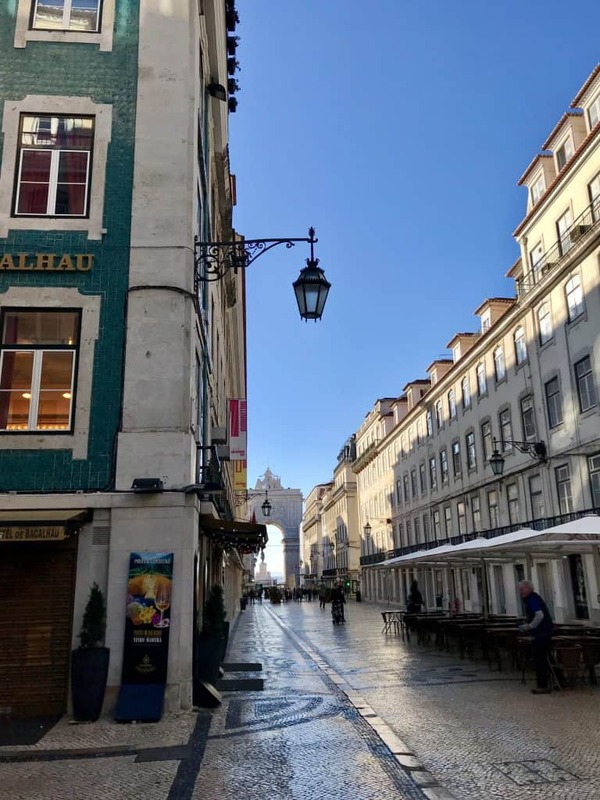 After Time Out Market, we decided to head to the famous Cais do Sodre, or pink street. You can see in the pics below how innocuous it is in the daytime, and how it livens up at night. We ended up doing a “3 Little Bears” of bar hopping, trying to find the right vibe for us. 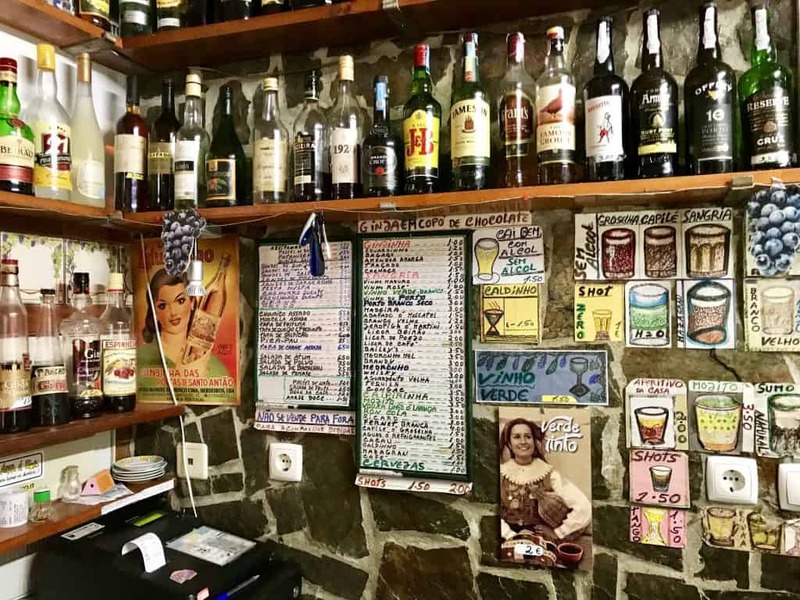 First we went to Pensar de Amor, a bar that used to be a famous prostitution house. 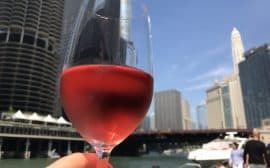 It was already feeling a little crowded and rowdy for us, so we went down the street to Pink Wine Point. It was truly dead and had a weird ambiance. 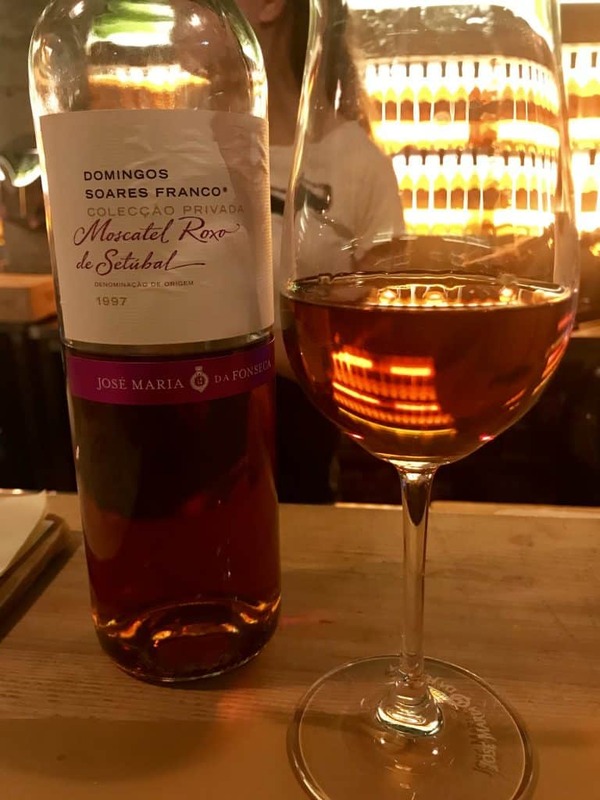 Finally, we walked to BytheWine, a wine bar run by Jose Maria da Fonseca (of the famous Fonseca winery). And it was JUST RIGHT. We got a cheese plate and then tried a few different wines, all in the port-like flavor place. 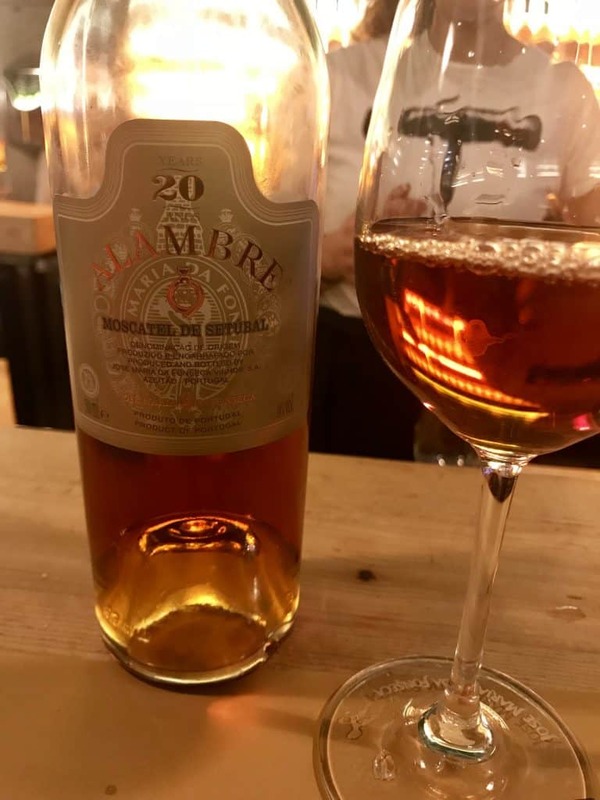 I started with a Muscatel, then had the reserve roxo, and then a 20-year-old one. I definitely bought a bottle of the last one to take home! The vibe here was super cool, chill but with some energy, and not filled with 22-year-olds 🙂 I’m basically 80 inside. As I mentioned at the outset, if you have an extra day then I HIGHLY recommend visiting the amazing, colorful fairytale castles of Sintra! 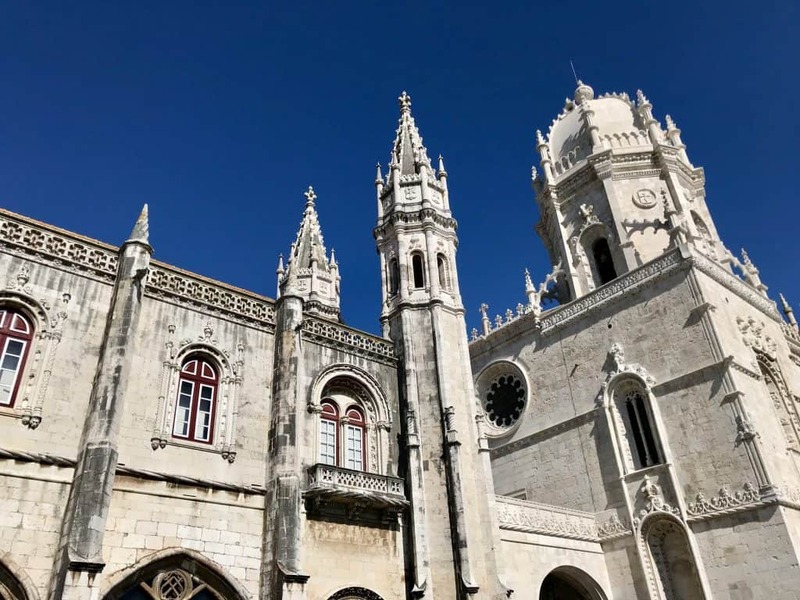 So now you’ve gotten a taste of what you can do with a day or two in Lisbon—and it’s a LOT, right?! Between my first 10 tips and these 9 others, I think you’ll have your work cut out for you. I’d love to hear from you to see if I’ve missed some of your favorites…hit me up in the comments!